So here it is, still cosy wrapped in plastic. 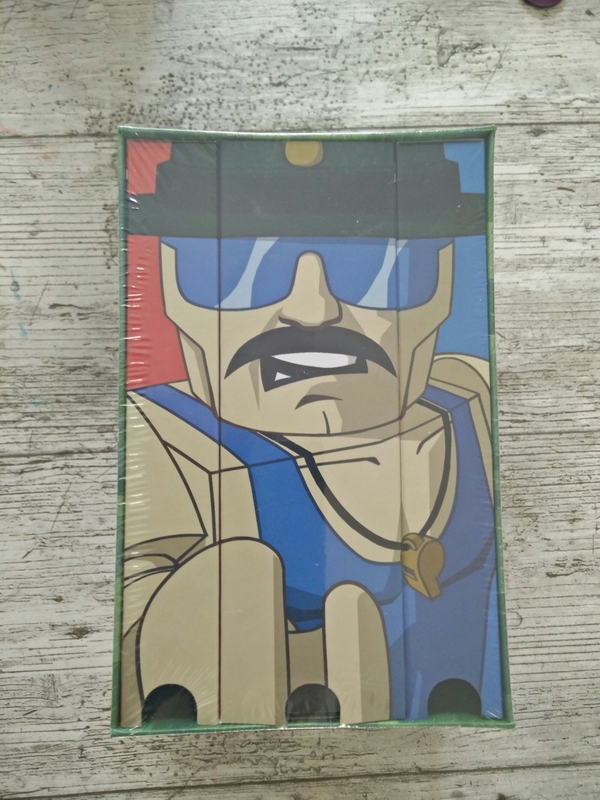 The 2015 comic con exclusive G.I.JOE Kre-O set with Sgt. Slaughter and Pimp Daddy Destro. It also contains the rest of Slaughter’s Marauders and some nice henchmen for Destro. One of my all-time favorite figures, Voltar, is also included. I’ve had this figure since I was a kid and sure he’s dressed in hot pink and has a pet vulture. There is something about that figure that I liked ever since I opened the plastic back in the day. For now, I’ll leave them all nicely wrapped up in the box. I will be upgrading the Man-Attic to have more display space for my Joes. As soon as that is complete, I won’t be able to resist building the triple-t and setting the figures up. 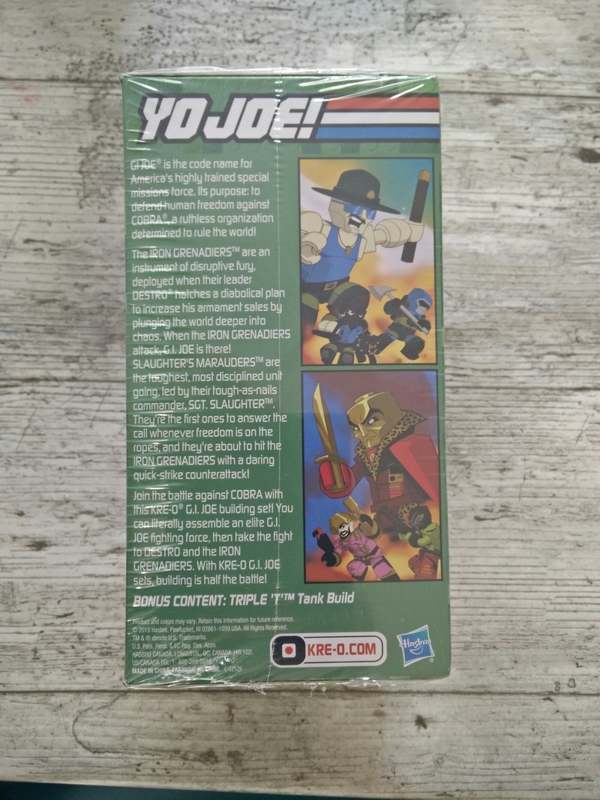 As always, happy collecting and Yo Joe!